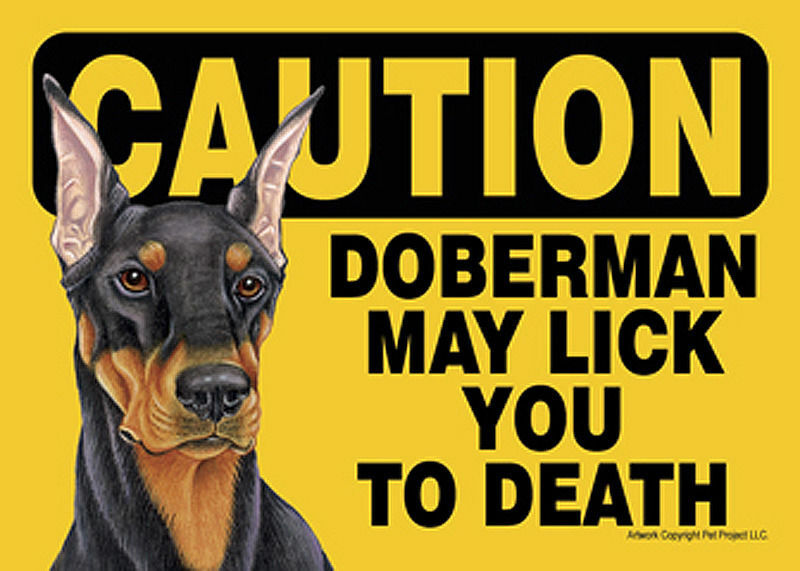 The black Doberman Pinscher is made up of a sitting stance with cropped ears. 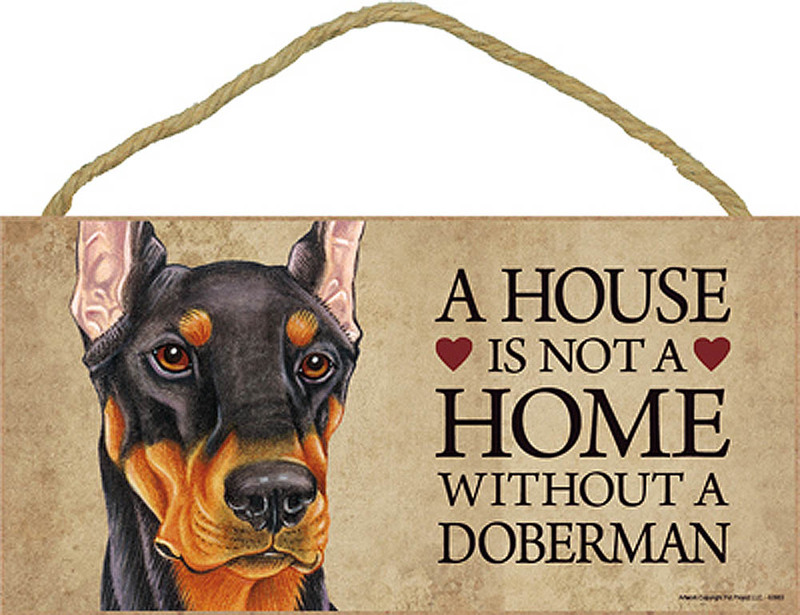 The paws, neck, snout, eyebrows, and inner ears are brown. There is also two small brown spots on the chest. The rest of the figurine is black including the nails, nose, mouth, and eyes. The black Doberman figurine is lean and strong in appearance. 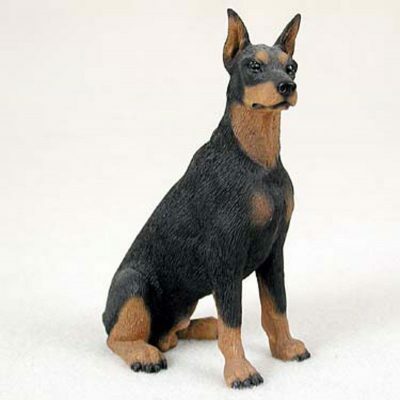 Legs are sturdy, chest is protruded, neck is stocky, and the facial features are well defined. 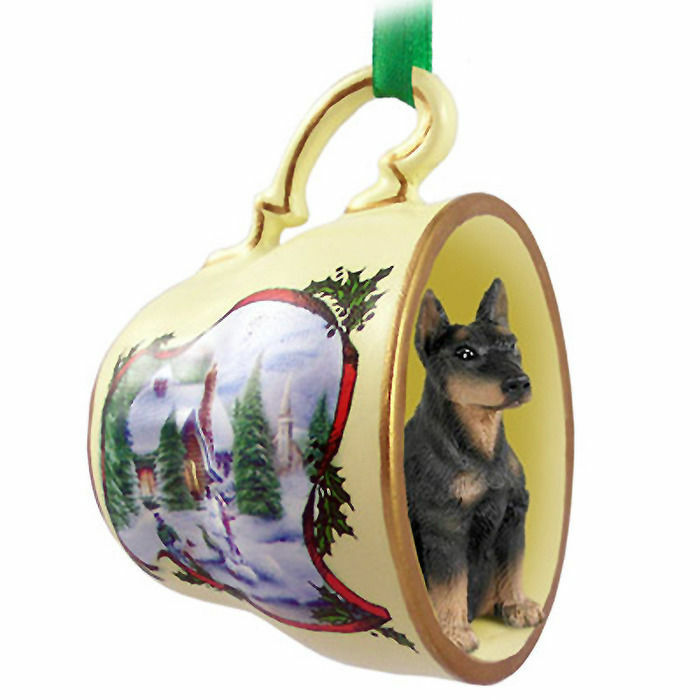 Front legs are parallel in position while the hind legs are sitting. The mouth is closed, and the head is straight with an alert posture. 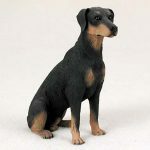 The black Doberman figurine has a smooth coat with visible hair lines. 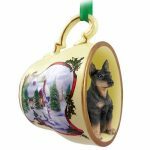 If you are looking for the black uncropped Doberman figurine you can find it here: Black Uncropped Doberman Figurine.